I've never been a big fan of Valentine's Day. 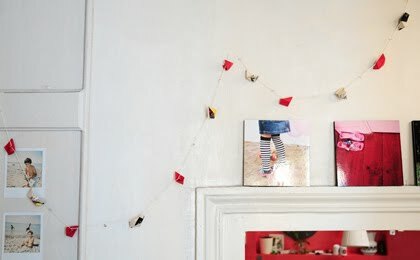 Creative: Pretty garlands, love notes, & thoughtful packages (to give to loved ones). Festive: Fancy v-day dinner parties, complete with giant red hearts (& French cooking, a la Julia Child). 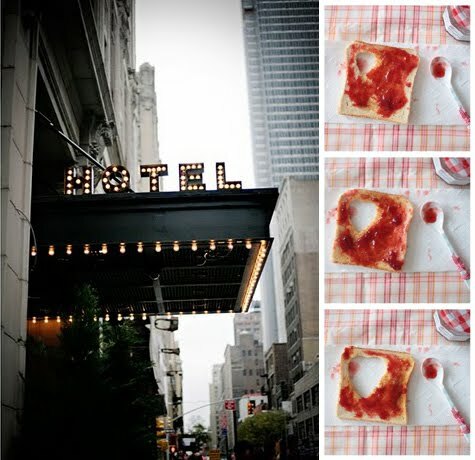 Spontaneous: Secret getaways and breakfast in bed (with "heart" toast!). I actually have a little spontaneous idea of my own planned for Q this year. If I document it, I'll try to share the results here! Don't you want to host a fancy Valentine's Dinner Party like Julia? I loved that part of that movie. 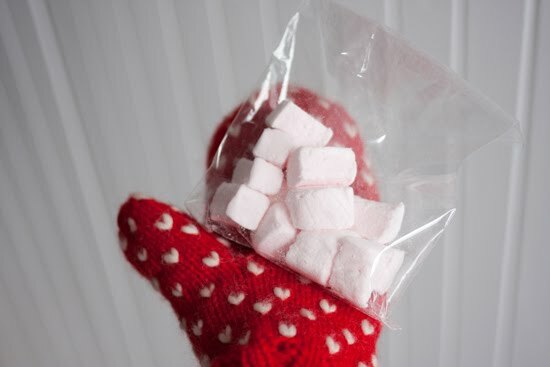 I always like the more thoughtful stuff for Valentine's day - a great, but inexpensive gift, a funny card or just going away together somewhere quiet and romantic. I had forgotten about that Valentines dinner party on Julie and Julia. It would be fun to do that with hearts and garlands and sweet little treats and good friends. I am not a huge fan of Valantine's day neither - it's all a bit too scheduled for me. I mean, it is really weird that all the people around the world remember that they love someone and that they should show it on the exact same day:) I prefer when it is genuine and not just because the calendar says it's the 14th:) plus I feel a little sad for the people who are alone on this holiday.. Same goes for me. I am not big on Vday, i just thought it's too commercialised. Valentine's day is great and I'm sure you will enjoy being festive! Yeah, I've always wished that Valentine's Day was a little better than it actually is. I probably need to be more spontaneous too!